Dr Pepper Dallas Cup Announces Cotton Bowl Stadium Matches | Dallas Cup, Inc.
Dr Pepper Dallas Cup, the oldest and most prestigious international youth soccer tournament in the United States, has announced the Gordon Jago Super Group matchups for the Cotton Bowl Stadium games. Opening day will be on Sunday, April 13, and will feature a triple-header to be played at the newly renovated Cotton Bowl Stadium. Games at the Cotton Bowl will continue on Wednesday, Friday, Saturday, and Sunday of Dallas Cup week and tickets for these games can be purchased at dallascup.com. 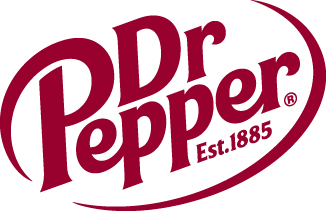 Dr Pepper Dallas Cup will be celebrating its 35th anniversary in 2014 and will take place from Sunday, April 13 through Sunday, April 20. The tournament’s first Cotton Bowl match will have the Gordon Jago Super Group reigning champion, English side Fulham FC, taking on the FC Dallas U18 Academy at 12:30pm. At 3:00pm CD Guadalajara (“Chivas”) of Mexico will play 2013 Gordon Jago Super Group semifinalists, Fluminense, from Brazil. The annual “Welcome World” Opening Ceremonies, featuring all 184 Dr Pepper Dallas Cup XXXV teams, will start at 5:00pm. The action will conclude with the marquee game of the day featuring the United States U20 Men’s National Team vs. Argentine powerhouse, River Plate, at 6:30pm. In a first for the Dr Pepper Dallas Cup, Wednesday’s Cotton Bowl Stadium matchups will not be decided until after the first two rounds of group games have been played. This will ensure that the most dramatic games, featuring optimum matchups, will be showcased on the Cotton Bowl field. Single event tickets range from $15 for adults to $5 for kids. Discounted week-long tournament passes for all five Cotton Bowl match days start at only $50 for adults, $20 for kids. Additional games will be played throughout the week, free of charge, at the Classic League Soccer Complex at Richland College and the new Elm Fork Athletic Complex in Northwest Dallas. Tickets can be purchased at dallascup.com.